California Governor Arnold Schwarzenegger signed a bill into law that repeals a decades-old gay “cure” mandate from state code. 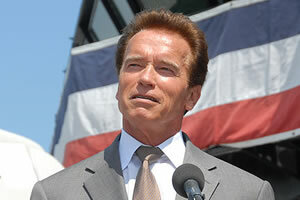 Schwarzenegger signed the bill into law on Monday. The law, placed on the books in 1950, instructed the State Department of Mental Health to conduct research into the “causes and cures of homosexuality,” and classified gay men and lesbians as sexual deviants and possible child molesters. Equality California, the state's largest gay advocate, lobbied for passage of the bill sponsored by Assemblywoman Bonnie Lowenthal, a Long Beach Democrat. The bill was carried in the Senate by Senator Roy Ashburn, the recently out Republican from Bakersfield. The ex-gay group Parents and Friends of Ex-Gays and Gays (PFOX), a group that claims sexual orientation can – and should – be altered, objected to the law's repeal.